There’s Always Success in Failure: Find your bright spots! Change is hard. People resist change. That’s why we all have an internal conflict when it comes to change: Should I change? Should I not? Instinctively, we have a problem-seeking mindset. We begin the process of solving a problem by asking, “What’s broken, and how do we fix it?” A more effective question to ask is, “What’s working, and how can we do more of it?” Simply changing the question you ask first will shift the focus of the discussion to finding solutions, and it will help you identify what bestselling authors of the book Switch, Dan and Chip Heath, call bright spots. Bright spots are past successes you can learn from. To help you find them, use what the Heath’s call the “Exception Question.” When a problem exists, ask yourself, “Where and when is this problem not happening?” Analyze those exceptions and figure out where there’s been success. It might seem counterintuitive to start with what’s going right, when you want to fix what’s going wrong, but bright spots are powerful. They help you avoid agonizing over the negative. They help you find success that already exists. Great things are happening in Klein ISD. Bright spots are plentiful on each campus, in each grade level, in each classroom, and in each student. In your next staff meeting, PLC, team planning session, etc., make an effort to discuss and highlight bright spots. What is something that’s working that you can duplicate? What is something that has proven to be successful that you can spread to others? 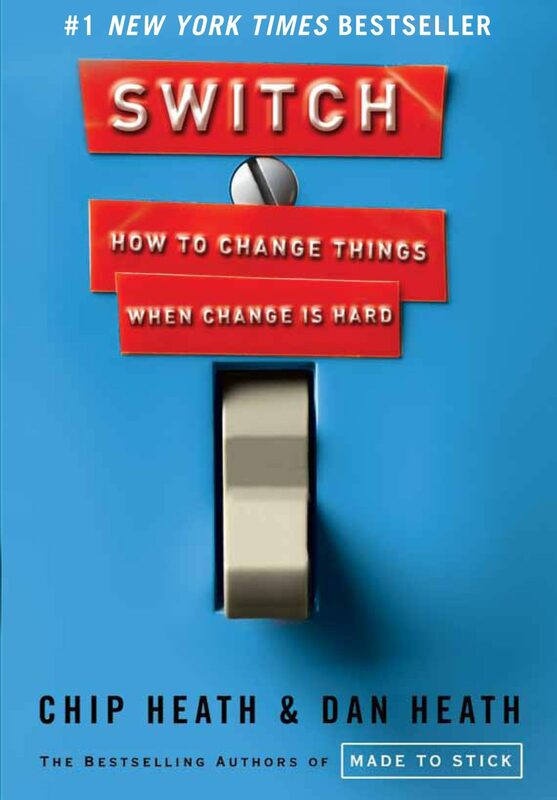 Make the switch from problem-focused to solution-focused, and begin the search for solutions by finding the bright spots on your campus or within your team. This practice will shift your mindset, lead you to new discoveries, and light the path for making a change. Bright spots are more impactful when you share them with others. Spread the goodness by sharing your successes, so that others can duplicate them! During the January session for the Holdsworth Campus Leadership Program, we were fortunate to hear from Susan Heath Hays, Dan and Chip’s sister and Switch trainer. She walked us through the Switch framework for change. The basis of the framework is that there’s a constant conflict between your Rider (logical part of your brain) and Elephant (emotional part of your brain). The rider must be directed and the elephant must be motivated to successfully make a change or a “switch.” Finding your bright spots is just the beginning of the process, so check out their book to learn more about successfully tackling the challenges of change.